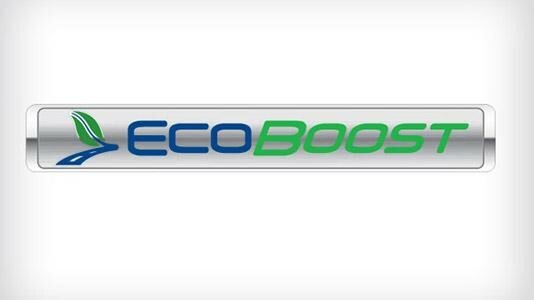 Mainland Ford | Blog | What is EcoBoost? 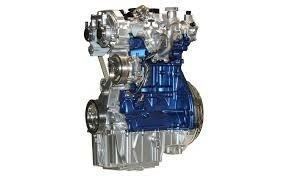 First unveiled in 2011, the Ford EcoBoost engine represents a huge advancement in Ford engine technology. Coming off the wake of the 2008 U.S. financial collapse, as well as oil prices nearing all-time highs, Ford dedicated their best and brightest to designing the EcoBoost engine in 2009. What they came up with was an all-new, turbocharged, direct-injected engine that increased fuel economy without hampering horsepower. Since its debut in the 2011 Ford Focus, variations of the EcoBoost engine have been implemented across the full Ford lineup. The EcoBoost system works through the clever application of a turbocharger and direct-injection system. The turbocharger forces more air into the engine than it would normally receive, and the added air and fuel makes the engine more powerful. This is where the ‘Boost’ in EcoBoost comes from. This system simplifies the injection process, which increases efficiency. The EcoBoost motor takes advantage of direct injection, cutting out the typical fuel-injection process that uses the intake tract to inject fuel. The turbocharger also adds power without substantially decreasing gas mileage, which is where the ‘Eco’ in EcoBoost comes from. For greater detail, watch Ford’s official YouTube video explaining what separates the EcoBoost engine from the rest of the lineup. How Is The EcoBoost Performance? All EcoBoost engines are turbocharged, which improves engine power and performance without sacrificing efficiency. On average, EcoBoost gas mileage increases by 20%, while greenhouse gas emissions fall by 15%. EcoBoost engines represent unrivaled towing capacity, as demonstrated in the 2015 Ford F-150, and provide significant power and acceleration without diminishing gas mileage. As for reliability, the Ford Motor Company consistently produces some of the most reliable engines on the market, and the EcoBoost is no different. It’s not shocking that the EcoBoost lineup has become an award-winning series. In 2012, the engine garnered the title ‘Best New Engine’. In 2014 it became the first engine named International Engine of the Year three times in a row. And in June 2015, for the fourth year in a row, the Ford 1.0-litre EcoBoost won another Engine “Oscar,” its eighth overall. Named the “Best Engine Under 1.0-Litre” by a panel of 87 journalists from 35 countries, the EcoBoost was judged on a variety of criteria—drivability, performance, economy, refinement, and technology. There are several engines in the EcoBoost lineup and each represent different a purpose. The smallest version, the 1.0 litre, has three cylinders and a single turbocharger, perfect for powering the 2015 Ford Fiesta or 2015 Ford Focus. With 123 horsepower and 148 lb-ft of torque, the 1.0-litre EcoBoost is a quiet but surprisingly perky little guy. At 8.1 L/100km in the city and 5.9 on the highway, the 1.0 litre provides an economical ride that tricks you into believing you’re driving a four cylinder. For cars like the Focus, Fusion, Taurus, and Escape, Ford created a 2.0-litre EcoBoost, which features Twin Independent Variable Cam Timing. This allows the onboard computer to calculate more accurately ideal valve timings, so the engine can deliver power during aggressive acceleration while retaining fuel economy. With four cylinders, the 2.0-litre engine has a max output of approximately 245 horsepower. In 2015 Ford introduced the “twin-scroll” turbocharger, which allows the current 2.0-litre to deliver more low-end torque than previous models, and makes all-wheel drive available for the first time. The all-new 2015 Ford Mustang added the 2.3-litre I4 EcoBoost engine with a twin-scroll turbocharger, allowing for more power and quicker engine response. This 2.3-litre four-cylinder engine provides the Mustang with over 300 horsepower—plenty of oomph to get the job done. The final 2-litre option in the EcoBoost family is the 2.7-litre twin turbo V6, introduced with the 2015 F-150. This engine was designed with truck-specific applications in mind, giving it excellent fuel economy under normal driving conditions or while hauling and towing. The engine is made with the same material (a compacted graphite iron-aluminum block) found in the 6.7-litre V8 Powerstroke Turbodiesel engine, which saves weight while still providing strength for truck applications. 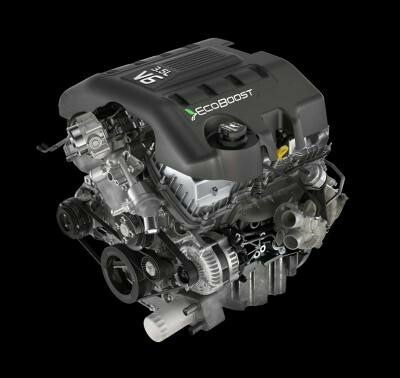 Introduced in 2011, the biggest EcoBoost engine is the 3.5-litre V6, found on Ford’s SUV lineup. The engine is available on the 2015 F-150, 2015 Ford Taurus, 2015 Ford Explorer and Expedition, 2015 Ford Flex, as well as the 2015 Ford Transit. This beast features twin turbochargers that are water-cooled to operate at a maximum boost of 12 PSI. It delivers similar torque and power as a typical 6.0-litre or larger displacement V8, while still retaining at least 15% better fuel efficiency and lower greenhouse emissions. With a total output of 365 horsepower, this engine has quickly become a favorite on the 2015 F-150. Ford engines have always been powerful and reliable, but the new EcoBoost family makes the Ford lineup leaner, stronger, and more powerful than ever before. With enhanced fuel efficiency, Ford EcoBoost technology is a game changer in the automotive world. If you’re still not convinced, contact our sales team today to schedule a test drive in any EcoBoost car, truck, or SUV. Our sales team can answer any questions you have about what makes this engine revolutionary.